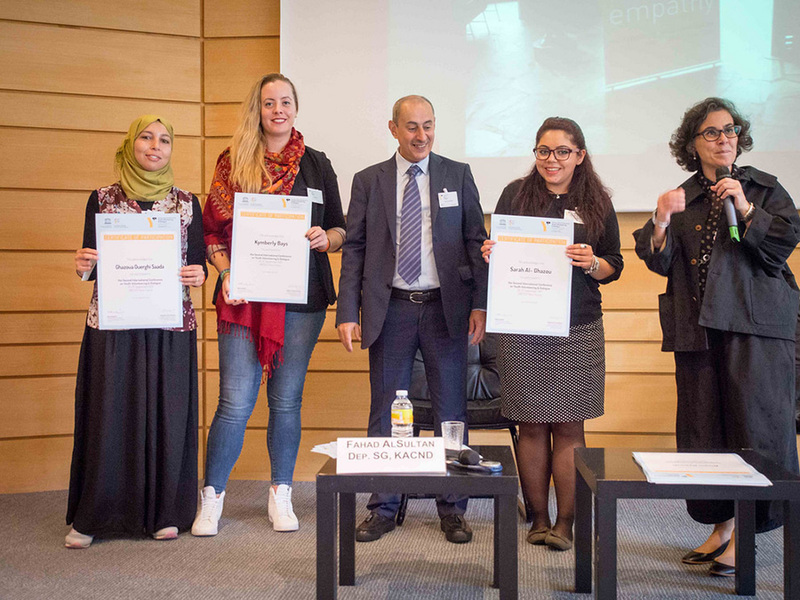 The Second International Conference on Youth Volunteering and Dialogue: Preventing Violent Extremism and Strengthening Social Inclusion, was convened by the United Nations Educational Scientific and Cultural Organization (UNESCO) and the King Abdel Aziz Centre for National Dialogue from 25 to 27 September in Paris. This conference, the second of its series, highlighted the power of youth volunteering to address violent extremism and promote social inclusion. The conference offered a platform for youth volunteers to connect with and influence the broader global agenda on peace and development and foster greater international collaboration among youth volunteers. From the experiences of UN Volunteers, we have learned valuable lessons: where institutions of governance are weak or fragile, volunteering provides a platform for people to actively engage and strengthen civic trust and the social contract between communities and the state,” said UNV Executive Coordinator Olivier Adam. More than a hundred youth volunteers from around the world participated in the conference, representing the UNESCO Global Citizenship Youth Network in the Arab States, the Scouts Movement and the United Nations Volunteers (UNV) programme. Ghazoua Ouerghi Saada (Tunisia), former UN Youth Volunteer with the Arab Youth Volunteering for a Better Future programme, was one of eight UN Volunteers who attended the conference to share their experience at field level. She also participated in the first international conference on youth volunteering and dialogue in 2013. Ghazoua shared, "The conference gathered volunteers with different backgrounds from several countries. It provided us with the opportunity to learn from each other and acquire new tools to enhance our work with youth. I really liked the techniques workshops where we learned about Drama Therapy, Human Library and Sports against Violence." "As a UN Volunteer, I was inspired by the experience of the ‘Ana Taaban' association of South Sudan in fighting violence and adopting innovative ideas to raise awareness about the country's urgent issues. I was also proud to hear about the new reforms at UNV announced by UNV Executive Coordinator Mr Olivier Adam; I believe there is so much UNV and UN Volunteers can achieve, and this is a strong move to make us more effective and efficient at field level, where volunteers propel development forward,” she added. Aiming to foster the vital values of solidarity, empathy, critical thinking, social engagement and meaningful civic participation, the conference focused on four thematic areas: youth volunteers spearheading inclusion of refugees, the importance of intercultural education, youth engagement with cultural heritage and the arts, as well as the role of the media and social media in constructing positive dialogue. The conference participants engaged in dialogue on social entrepreneurship and civic engagement, and participated in organized workshops related to the thematic areas. In addition, they also participated techniques workshop on the Human Library, Drama Therapy and Sports against Violence, featured by experts in the field. The conference closed with youth participants presenting their commitments and future initiatives to prevent violent extremism and strengthen social inclusion in their communities and beyond.